The Princess Bride! Lightning Sand! ROUS! Flame Spurts! 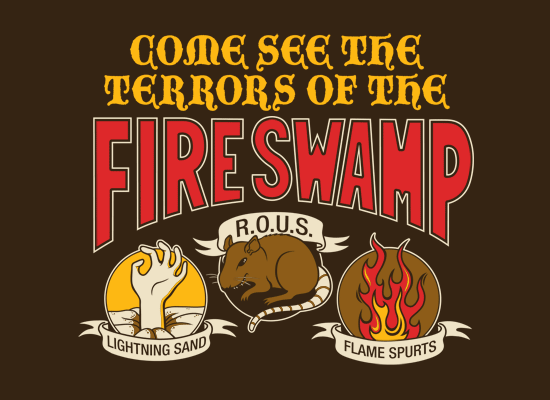 Now that’s some funny screenwriting giving that terrible fire swamp all of those goofy, over-the-top dangers. Rodents of Unusual Size! You have to be proud of Westley and The Princess bride for keeping their cool and navigating through unscathed. I mean, look at htose Terrors. Awful…just awful.